Thanks for reading and watching! Feel free to contact us with comments, suggestions, or any real estate needs. In real estate, there is always buzz about the “spring market.” It gets a lot of attention about being the best time to buy and sell. 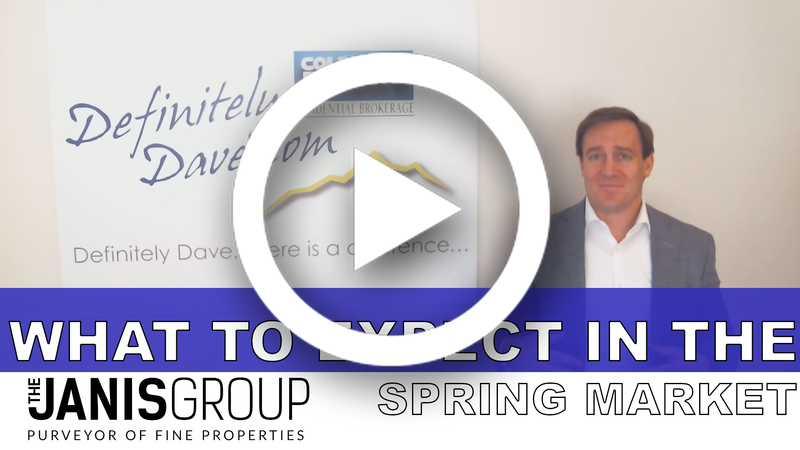 Did you know the spring market starts now? Mid-January is actually when buyers begin looking for their next move. It’s a popular time as the holidays are behind us, New Year’s resolutions have been made, and many people are focused on where they see themselves for this new year. If you have a home in a lower price bracket that may appeal to entry-level buyers, now is an excellent time to list. If you’re selling, the key is to capture these buyers who have made up their mind to buy a home this year. Many are looking for a spring closing, so while it may technically be winter now, you’re more likely to get top dollar earlier in the season. February 15 to April 15 is really the heart of the spring market. Waiting too long to list can be a mistake, as many want to be moved into their new homes before the start of summer. Especially when families with school-aged children are moving into a new neighborhood, they prefer to be settled into their new area as early in the summer as possible to get acquainted with the neighborhood and form friendships before school begins. Has a spring or summer move been on your mind? I’d be happy to help. 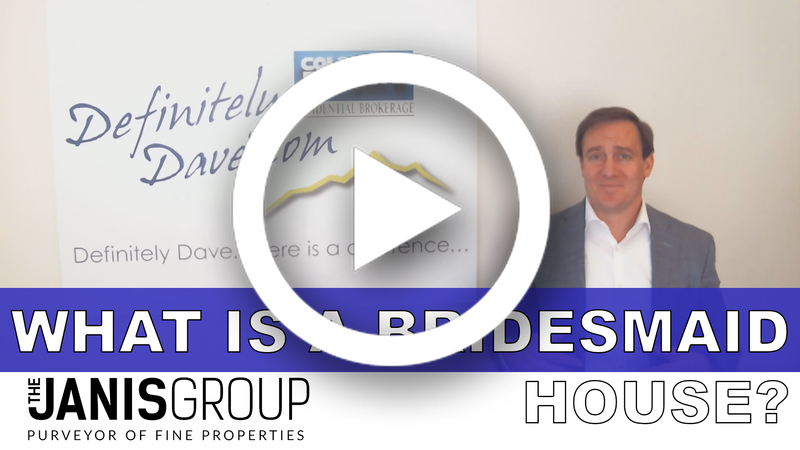 Call Dave today at (303) 442-5001 and we can figure out the best time to begin your home search or list your home specific to your price point and area. We’ve all heard the saying about always a bridesmaid, never a bride - the girl who goes to all the weddings but doesn’t get married. In real estate, there are houses like that which have a hard time going under contract - “bridesmaid houses.” Whether it be due to a poor location, structural issues, or condition of the home, these homes are often overlooked by buyers. However, the discount these homes can fetch is all about timing. In a seller’s market, which we’ve seen in the last 5-7 years as the market continues to go up, these homes have been a bit easier to sell. There might be just a 3-5% discount on a home that backs to railroad tracks, is on a busy corner, or has deferred maintenance. Ultimately, that isn’t too bad. But as the market shifts to more of a buyer’s market, these buyers will have increasing options to choose from. When a buyer is house hunting and there are 10 houses that aren’t bridesmaids houses but one that is, the only way to get that bridesmaid house sold is to reduce the price. This means we’ll see a house that may sell at a 3-5% discount in a seller’s market sell for as much as a 15-20% discount in a buyer’s market. If you know of anyone who has a house that might be challenging to sell, now is the time to do it. The market is starting to change, and the discounts aren’t as significant yet - especially in the spring. What is going on in the Colorado housing market? Is it really slowing down? National headlines are indicating that the housing market is slowing down, or that we've hit "the peak," and there is some truth to that. Rest assured, the housing market here in northern Colorado is very strong. If you read the national headlines, and then dig into the actual numbers, what you'll see is only a very slight slow down on sales of existing homes. We are seeing that here in Colorado, especially over the last three or four months. We've discussed it in our office - is it a seasonal shift or more of an overall market shift? The first indicator of market health is the economy. In Colorado housing is driven by jobs, specifically by wages. So, the more people that work here and earn a good salary, the better the housing market is going to be. The long-term and short-term outlook for Colorado is that our economy is very strong, and that's good for the housing market! The second indicator of market health is the number of homes under contract. Right now in northern Colorado (Boulder County, Broomfield County, western Weld County, Jefferson County), 40% of the homes for sale are under contract. That's unbelievable! In 2009 only 10-12% of homes were under contract, so our current market is incredible. Nothing to worry about there. What we're seeing on the street is that some sellers are testing the market. They've been seeing the upward trends over the last number of years, and are pricing their homes $50,000 to $100,000 over where they should be. Of course, those homes are going to sit on the market, and we're going to see some price reductions. That's normal, and a big contributor to those headlines we're seeing. If you price your home at market value, it's still going to sell right away. We are still seeing bidding wars on properly priced homes. So, rest assured, the housing market here in northern Colorado is very strong. It's a good time to buy, it's a good time to sell. Enjoy the economy, and be happy that we're here in the sunshine enjoying the abundance! If there's anything I can help you out with, or if you have questions about specific properties or neighborhoods, give me a call. I'm happy to help you out! 303-828-6655. Thank you! 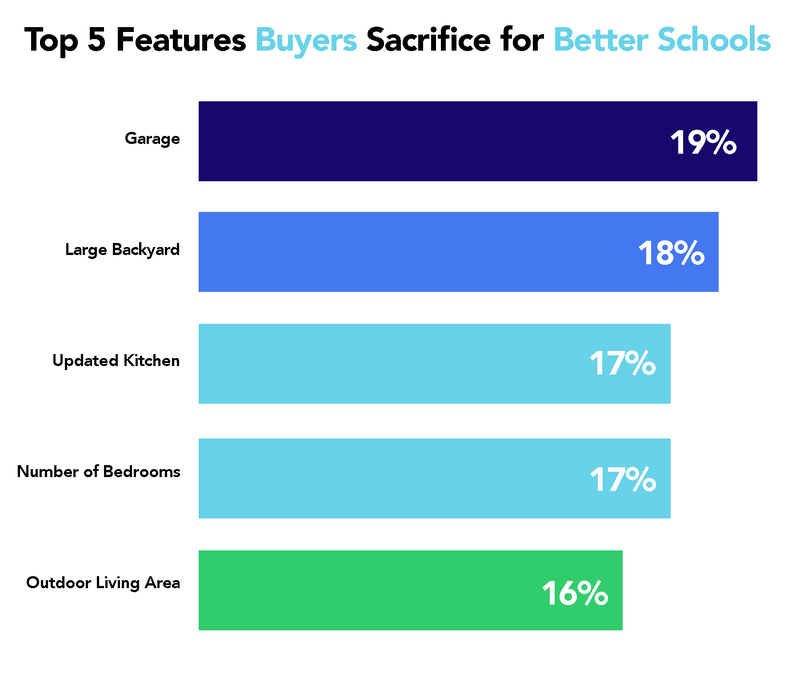 What is surprising, however, is that 78% of recent homebuyers sacrificed features from their "must-have" lists in order to find homes within their dream school districts. 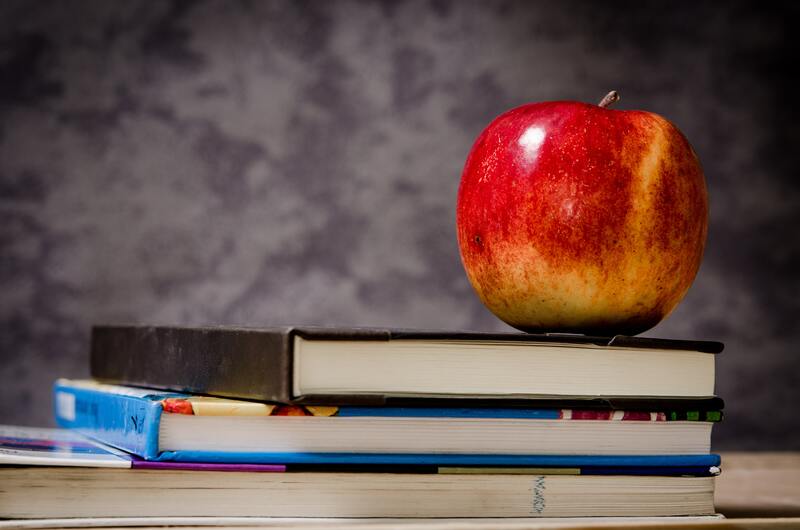 "Most buyers understand that they may not be able to find a home that covers every single item on their wish list, but our survey shows that school districts are an area where many buyers aren't willing to compromise. For many buyers and not just buyers with children, 'location, location, location,' means 'schools, schools, schools.'" For buyers across the country, the quality of their children's (or future children's) education ranks highest on their must-have lists. And, even buyers without children will benefit from higher appreciation and demand in neighborhoods with good schools. Before you start the search for your next home, give me a call and we can discuss the best school districts in the Boulder and Denver metros, their boundaries, and the market conditions in those areas. One of the questions a lot of my great clients ask me is - when is the best time to sell your home? There are really two answers to that question. The fall is the "secret spring market." If you want top dollar for your home, and the most number of available buyers, the best time to sell your home is in early spring. This spring market starts as early as January 15th and continues to as late as May 1st each year. Beyond May 1st, the market starts to change a bit and by the end of June, it has noticeably slowed. The earlier in the spring you can list, the better. However, in January and February, your yard may not be green yet, and your flowers certainly will not be blooming. There may even be some snow on the ground and it will likely still be cold. So, if you think there's even a slight chance you may list your home next spring, let's schedule some pictures now while everything is still green and blooming, so we can market your home in its best possible light when the time to list arrives. Surprisingly, the second best time of the year to sell your home is in the fall, between Labor Day and Thanksgiving. Not many people know about this sweet spot in the market - I like to call it the "Secret Spring Market." The fall market is a great time to upgrade and move to a larger home, and it's also a good time to sell your current home. Selling in the fall, you'll get a good price on your existing home, and you're also going to get a killer deal on your new upgrade home. Right between Labor Day and Thanksgiving, all the kids are back in school, summer vacations are over, and people are starting to refocus on their living situation, making it a great time to make a move. If you have more specific questions about your house or your neighborhood, what's going on in the market, or the best time to sell (because it does vary a little based on location), give me a call. Today I'd like to share with you a strategy for dealing with overwhelm. In my business, it's funny, but half the time I feel like a therapist. Many people deal with the same emotion. When people are moving, it's a stressful time, often because many times a move is accompanied by big life changes. For example, a divorce, a growing family needing a bigger house, or becoming an empty nester and needing to downsize are all common reasons people move. So, on top of moving and selling a home, stressful in itself, people are often faced with these other big life events that add to the stress. Going through these things, many people deal with the same emotion - overwhelm! I've dealt with overwhelm a lot in my personal life, as well as with my clients, and there is a secret to dealing with overwhelm. Overwhelm comes on quickly - you're thinking about all the stuff you have to do, and then you spend 2-3 hours thinking about all the stuff you have to do, and overwhelm takes over, leaving you stressed, anxious, and tight. The secret is, all you have to do is just take action! Just take the tiniest baby step, move in the right direction, and that will lead to the next step. Taking even the smallest step will get your mind off the mountain of stuff you have to do, and at the end of taking a few small steps, you're going to feel better about yourself and you'll be able to take more action. That's it - the secret to a stress-free, easy move. Of course, hiring a top agent like myself helps - we make everything super easy! But, if you're feeling overwhelmed, just start to take action a little bit at a time, and you'll feel better soon! If there's anything I can do to help you with your real estate needs, give me a call! Coldwell Banker releases new ad for their Homes for Dogs project. For more information on the “Homes for Dogs Project,” head to coldwellbanker.com/homesfordogs. The difference between a house and a home is love – and sometimes the smallest things are all it takes to fill that void. The latest Coldwell Banker advertising campaign, titled “Old Dog New Dog,” is a reminder of just that, as we follow the journey to home of Mr. Cooper. This sentiment is also why Coldwell Banker founded the Homes for Dogs Project, a partnership with Adopt-a-Pet.com aimed at helping adoptable dogs find loving homes. Together, the pair has helped more than 20,000 dogs find homes and are poised to continue this effort throughout 2018. Because everyone deserves a loving home. And that's not all. Affordability is expected to drop another 15% to 20% by the end of the year. That's because home prices continue to rise, and the Federal Reserve is expected to ratchet up its reference interest rate, which often leads mortgage rates, three more times this year. Well, if you're looking to sell, you won't have a hard time finding a buyer. Even with decreasing affordability, demand for homes still far outstrips supply. However, it's certain that buyers will look to take advantage of current conditions before affordability drops further. That means that this spring and summer might see an additional rush on the real estate market. It also means that right now might be a very good time to list your home if you've been thinking about selling for a while. However, there's no need to panic. At the same time, it's certainly true that mortgage rates are going up, and this will affect what your monthly payments will be on a new home. From this perspective, it makes sense to move now in case you've been looking to buy before rates rise further. Finally, if you have any questions (whether you're looking to buy or sell), give me a call at 303-442-5001. 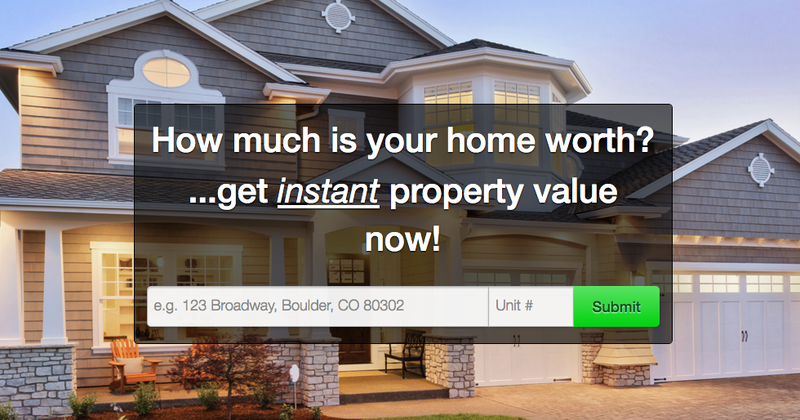 I'm very active in the Boulder and Denver real estate markets, and I'm always here to help. There is a new luxury townhome development in Frederick at Wyndham Hill. Glasco Park Townhomes are the newest, best thing to hit the market in Frederick. Our team just listed this new development, and we are super excited to share it with you! You can buy these with $0 money down. Located just west of I-25 on Highway 52, the development is right next to the new Grand View Elementary, a K-8 school opening in Fall 2018. This community is absolutely booming, with brand new retail and lots of new homes being built. Prices range from $340,000 to $375,000 for an 1,800 to 2,000 square foot luxury townhome with an attached 2-car garage. For an incredibly affordable price, you can get a brand new home that is low maintenance and move-in ready. The Glasco Park townhomes are eligible for $0 money down programs, and you can also take advantage of the low rates before they inevitably rise. These homes would be great for first-time homebuyers, investors, or anybody looking to down-size. If there's anything we can help you out with, or if you know anybody that might be interested in this community, give us a call. We'd be happy to help out! There are exciting changes happening the Town of Superior! This year there are some great things happening in Superior! Elon Musk is opening a new Tesla dealership on Highway 36 and McCaslin Boulevard in Superior. Previously located in Boulder a number of years back, the company is coming back to Boulder County. The dealership will be on a 2-acre parcel and offer both service and sales. Right next door to the Tesla dealership's future location, and close to the new Sports Stable, Remington Homes is building 1,500 new single family homes and townhomes. We can expect to see this project last the next year or two. Lifetime Fitness has created a new Onyx Premier Athletic Club inside the old Lakeshore Athletic Facility. The building was completely remodeled over the Christmas and New Year's seasons, and is now the highest end facility Lifetime Fitness offers. If have any questions about what's going on in Superior or the surrounding communities, I'm happy to help you out and fill you in!